The Peabody awarding winning Cinemax series from executive producer Steven Soderbergh (who directed all ten episodes) -- The Knick: The Complete Second Season -- will be available to own on Digital HD January 18, 2016. 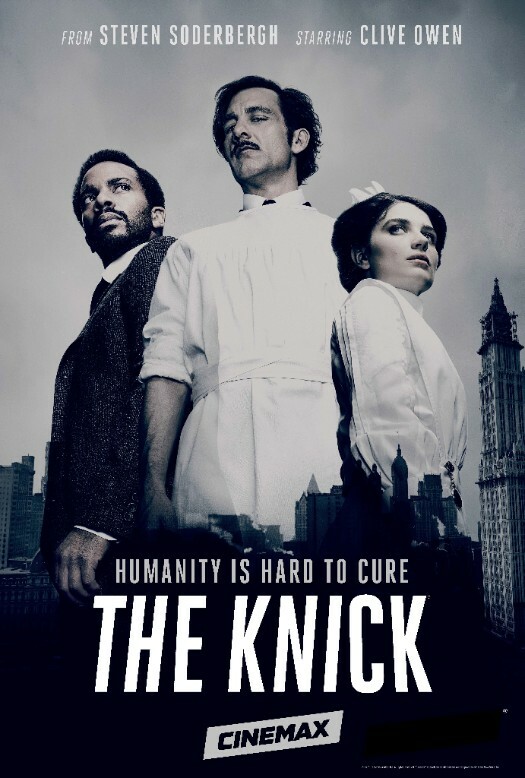 In the second season, The Knick faces an upheaval, as Dr. John Thackery’s absence (due to his hospitalization for cocaine addiction), a dearth of affluent patients, and financial missteps have led to the board’s decision to shutter the hospital in favor of a new building uptown. In this world of corruption, invention and progress, everyone is searching for the new path that will help him or her survive. Whether it’s a path toward justice, freedom, love or just plain survival, nothing comes easy. As relocation plans proceed, the gifted but under-appreciated Dr. Algernon Edwards jockeys to become Thackery’s successor as chief of surgery, while fellow doctors, nurses, nuns and administrators grapple with challenges at work and in their private lives.